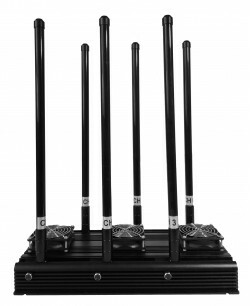 PRO-45 is one of the most powerful cell phone jammers which are currently presented on the market. With 135W of output power this blocker is able to disable all GSM, 3G, CDMA, 4G, GPS, Lojack, WIFI, GPS etc. frequencies in the radius up to 150 meters. It mainly used for the areas where the w..